There have been a lot of things on the news about how making fake accounts can get you in a lot of legal trouble, but a lot of that has been focused on Facebook. 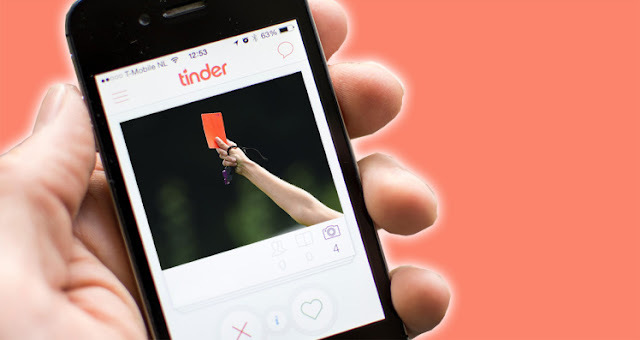 When it comes to Tinder, you would have thought that it was obvious that these things could also get you in trouble on there. Referee Connor Mayes apparently didn't think that through when he made fake Facebook and Tinder accounts using the pictures and information of female referees that he had worked with. Mayes was using these accounts not to meet anyone himself but to cause trouble for his female coworkers. He would flirt and say things to these men that would encourage the men to come and see the women at matches. At these matches, they would harass and upset these women. This is disgusting and the fact three women have been dealing with this for three years is worrying. It's taken a long time for something to happen about this, but he's been banned from football for three years. Mayes was actually cautioned back in December so it's taken six months for this thing to actually be finished with and even then it's only been dealt with by the FA. The three women are incredibly hurt by this and their reputations have possibly been tarnished over something they didn't even do. Mayes hasn't even stated a reason for doing this or for targeting these women so he could possibly continue to do what he was doing with different women. It's not something that can really be controlled and that's what makes it so terrifying. You can find out easily if someone's made a fake Facebook account of you, which is the first step, but you can't so easily find out if they've put you on Tinder. You might think it doesn't sound like something anyone would do but some people really are that cruel. Thankfully these women should now be safe and they will be more aware of this sort of thing happening, but they will need help to deal with this. For everyone else this should just be proof that the people you're talking to on Tinder might not be who they say they are. The majority of them will be, but maybe don't go meeting with someone or tracking them down until you can confirm it really is them otherwise it could be horrible for you and them.